[S1174] David Lawson-Beck, "re: James Montgomery Beck," e-mail message to Darryl Lundy, 22 September 2004 and 26 April 2007. Hereinafter cited as "re: James Montgomery Beck." [S4] C.F.J. Hankinson, editor, DeBretts Peerage, Baronetage, Knightage and Companionage, 147th year (London, U.K.: Odhams Press, 1949), page 467. Hereinafter cited as DeBretts Peerage, 1949. Her married name became Donner.3 From 14 April 1934, her married name became Tennyson. 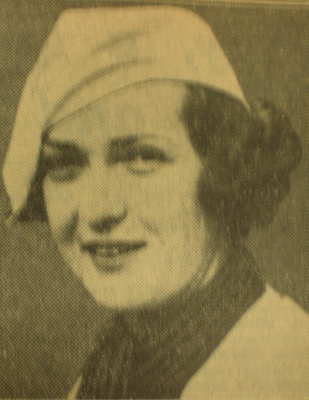 After her marriage, Carroll Elting was styled as Baroness Tennyson of Aldworth on 14 April 1934. Mark Aubrey Tennyson, 5th Baron Tennyson of Aldworth was born on 28 March 1920.1 He was the son of Major Lionel Hallam Tennyson, 3rd Baron Tennyson of Aldworth and Hon. Clarissa Madeline Georgiana Felicite Tennant.3 He married Deline Celeste Budler, daughter of Arthur Harold Budler, in 1964.1 He died on 5 July 2006 at age 86 at South AfricaG. Deline Celeste Budler was the daughter of Arthur Harold Budler.2 She married Mark Aubrey Tennyson, 5th Baron Tennyson of Aldworth, son of Major Lionel Hallam Tennyson, 3rd Baron Tennyson of Aldworth and Hon. Clarissa Madeline Georgiana Felicite Tennant, in 1964.3 She died on 7 March 1995. From 1964, her married name became Tennyson. After her marriage, Deline Celeste Budler was styled as Baroness Tennyson of Aldworth in 1991. 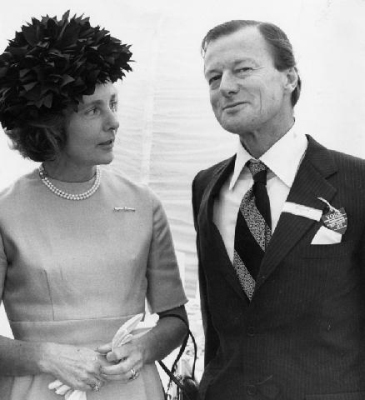 Lionel Tennyson was born on 1 August 1925. He was the son of Major Lionel Hallam Tennyson, 3rd Baron Tennyson of Aldworth and Hon. Clarissa Madeline Georgiana Felicite Tennant.1 He died on 15 August 1925.